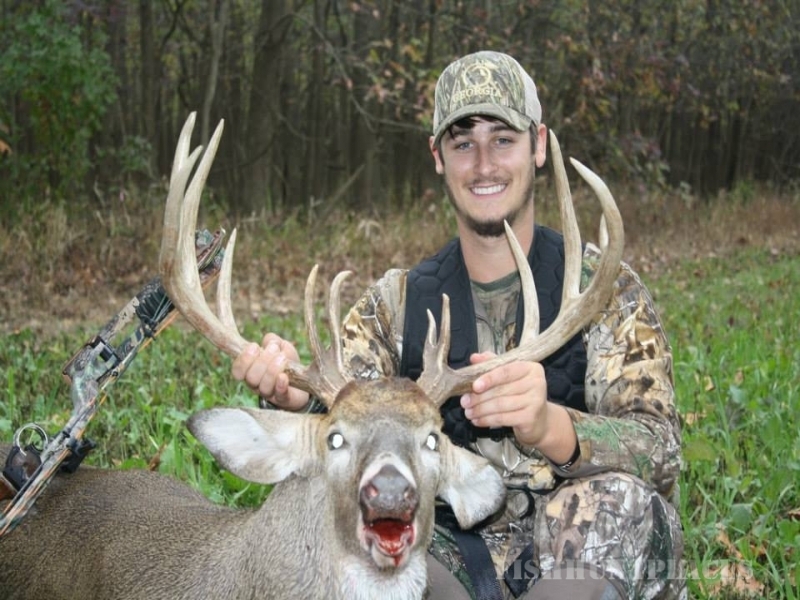 Illinois' Ohio River Outfitters offers trophy whitetail hunting in the heart of Illinois deer hunting country. Located along the banks of the mighty Ohio River, our property has some of the richest agricultural land in Illinois. 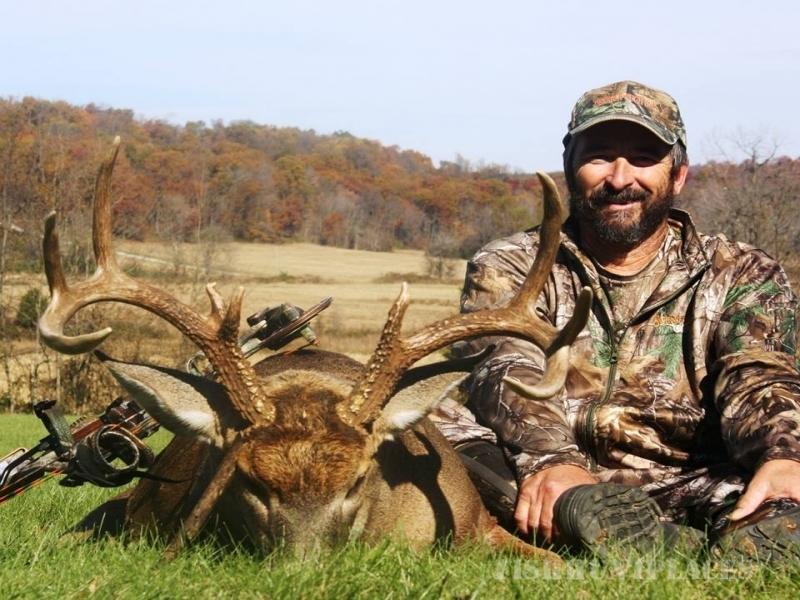 The fertile Ohio River Valley soil is loaded with the minerals and nutrients it takes to grow Monster Whitetails. 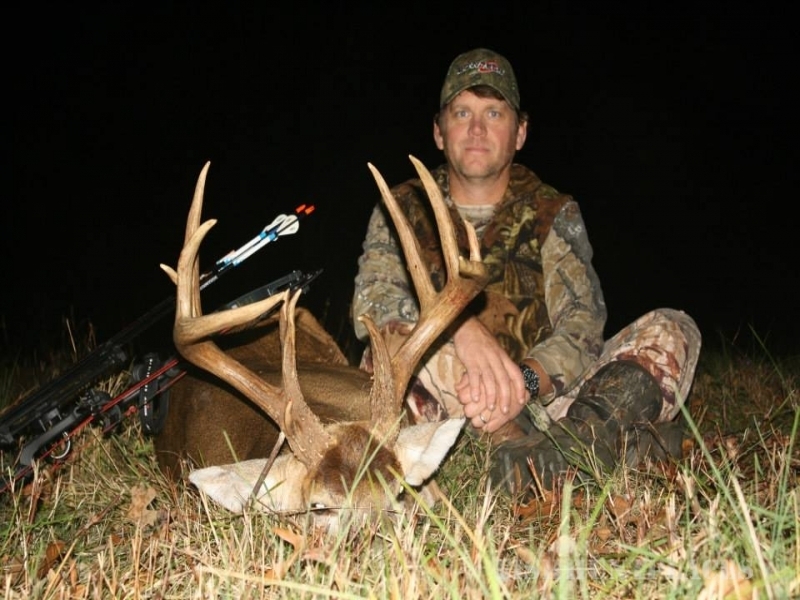 This high quality food source, mixed with the bluff country hardwood forests, make up some of the best whitetail habitat Illinois has to offer. 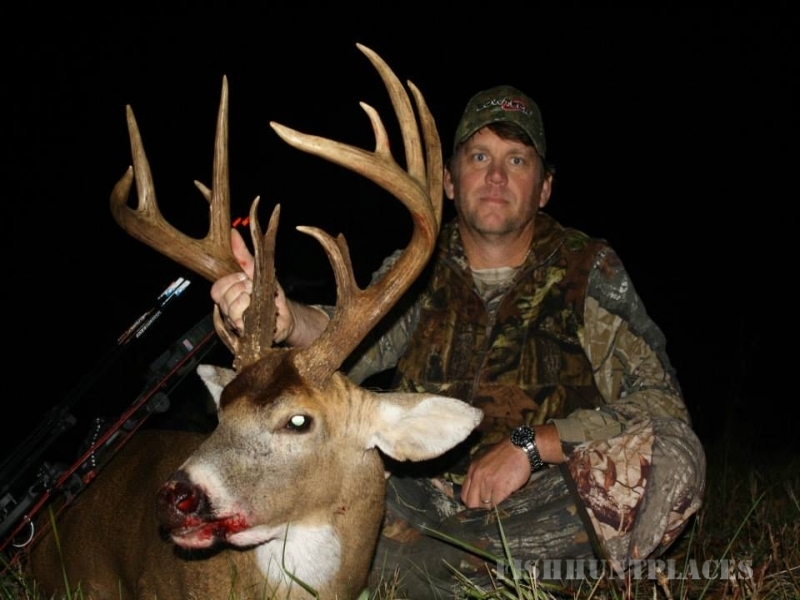 We are a small whitetail and turkey outfitting service that is located in Southeastern Illinois. 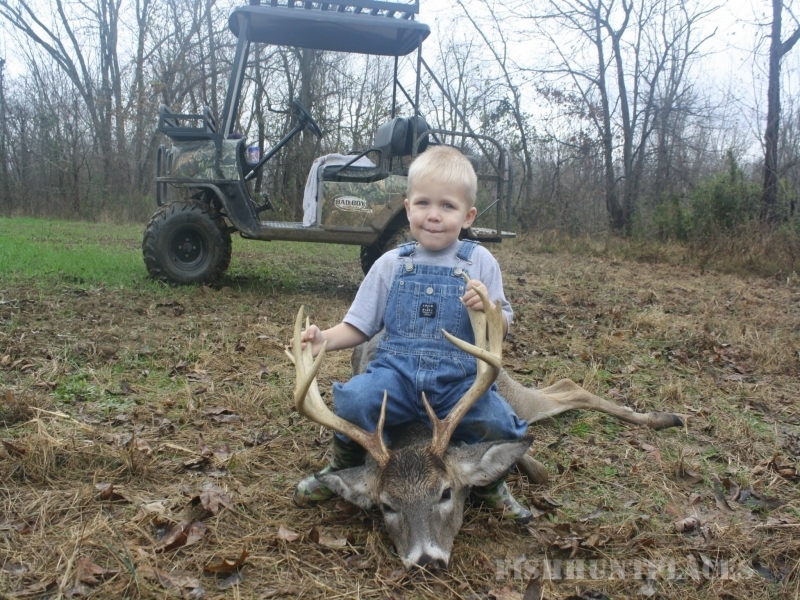 Most of our hunts take place in Hardin County which is considered Illinois' first and final frontier. It is the smallest and least populated county in Illinois. This is the corner of the state that offers the road less traveled. 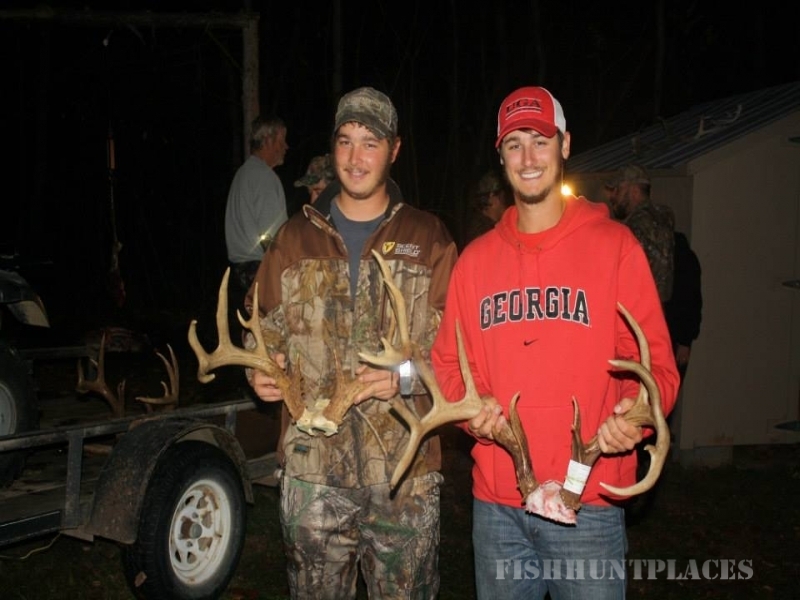 Not only will you get a great whitetail hunt with us but a backwoods adventure as well. Many hunters ask how we compare to the famous "Golden Triangle" of Illinois, and that answer is simple. When comparing Boone and Crockett kills by county one must take into consideration the land area of the county. The famous "Golden Triangle" counties are some of the largest counties in Illinois, so yes they will be putting out more Boone and Crockett numbers than smaller Illinois counties. For some reason Illinois counties are much smaller in the southern part of the state. Our county of Hardin is 5X smaller than Pike County. So don't be fooled by the Boone and Crockett numbers per county. It has already been proven that the true "Illinois Giants" come from all over the state, not just the "Golden Triangle". 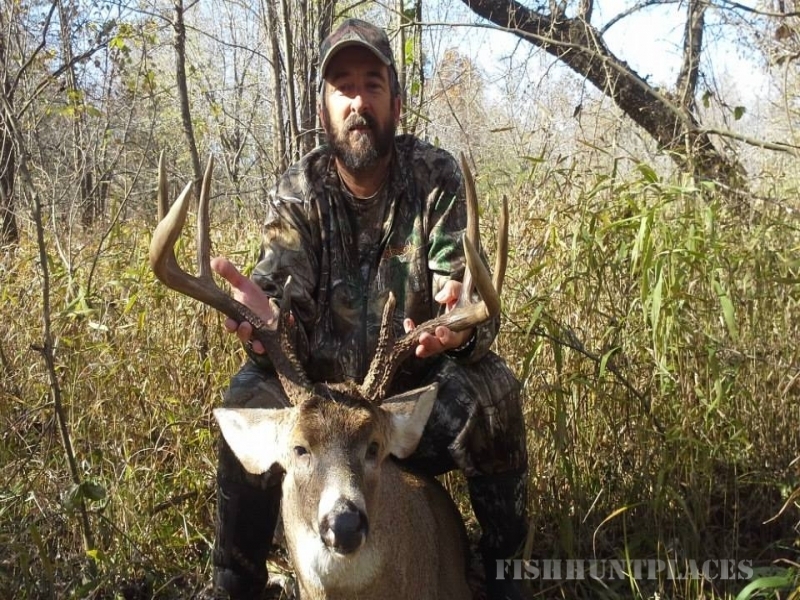 Most Illinois Outfitters offer several thousand acres of hunting land that is spread out over several counties, but what they don't tell you is ninety-percent of that land is flat, tillable, and basically non-huntable land. Our properties are much different with roughly 65% hardwood ridges and river bottoms, and the other 35% in agricultural fields, CRP, and high nutritional food plots. 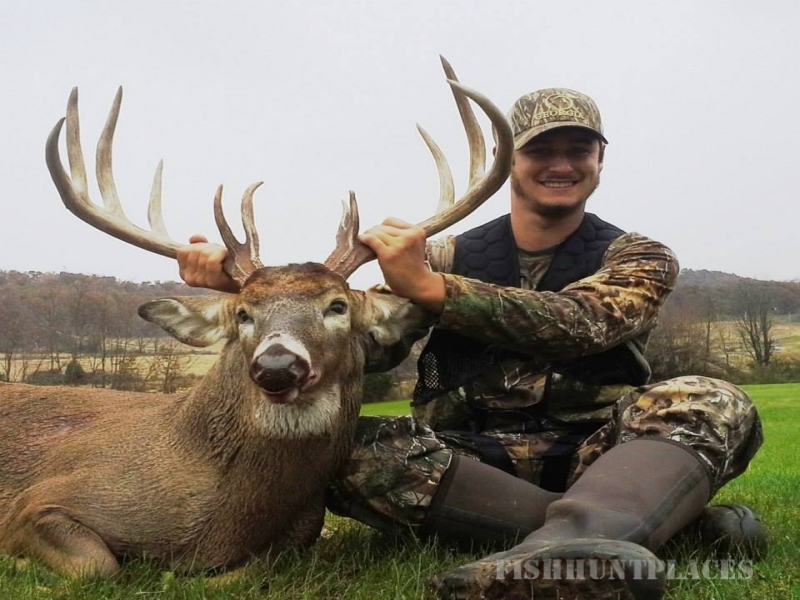 The hunting land consists mainly of OaK/Hickory hardwood ridges, low lying agricultural farmlands along the river, nasty river bottom thickets that hold huge whitetails, and rugged bluff country overlooking miles of the Ohio River country.